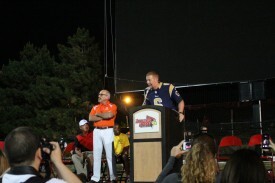 St. Louis Rams punter Johnny Hekker made a special trip to Normal on June 13 for the 2014 Special Olympics Illinois Summer Games. 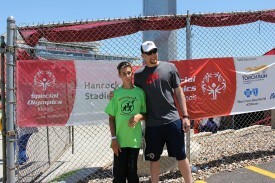 Hekker spent the day cheering on the athletes competing in soccer and athletics. He even paused for photo ops and high-fives. He then participated in the Final Leg of the Law Enforcement Torch Run and later he had the honor of declaring the Summer Games open during Opening Ceremonies. 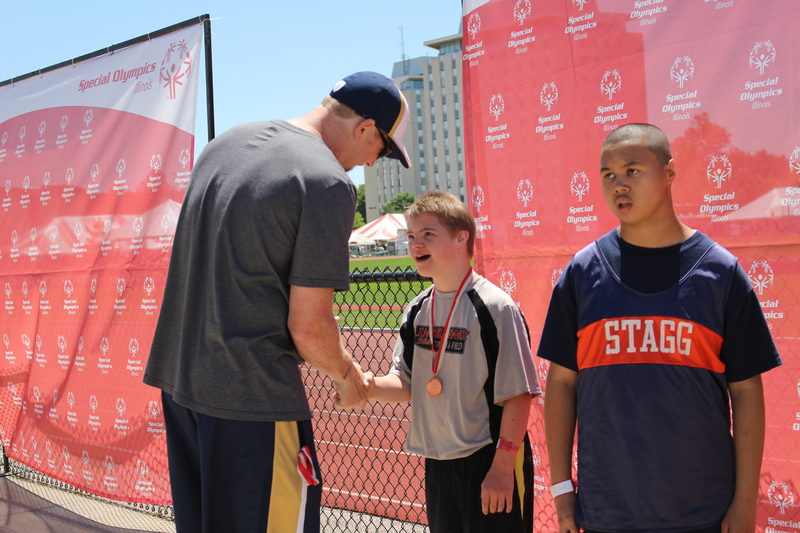 This wasn’t Hekker’s first interaction with Special Olympics. His father worked as an event coordinator for an agency in his hometown and Hekker volunteered with their group when they participated in Special Olympics events. His involvement continued through high school and college, and earlier this year he was the honorary chair of the Law Enforcement Torch Run Polar Plunge in Carlyle. He not only plunged into the icy waters, but formed a whole team who took the Plunge along with him! 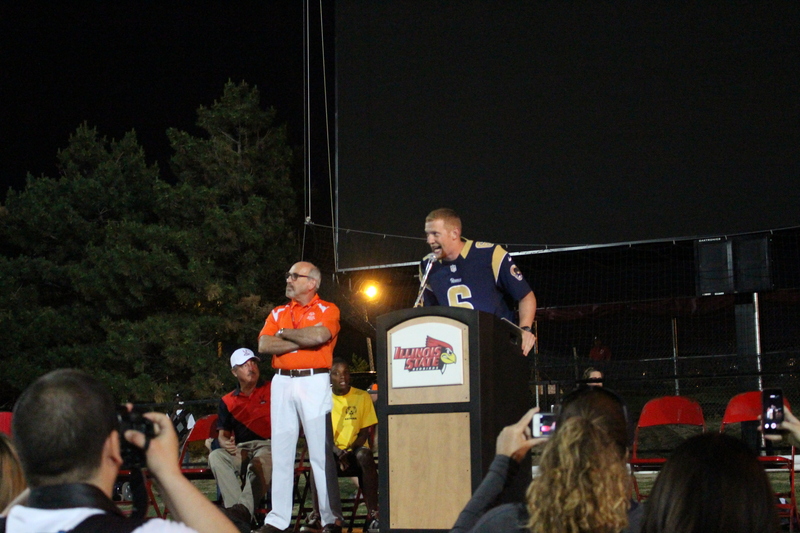 Special Olympics Illinois thanks Johnny Hekker for embracing fellow athletes and for volunteering his time in Normal.